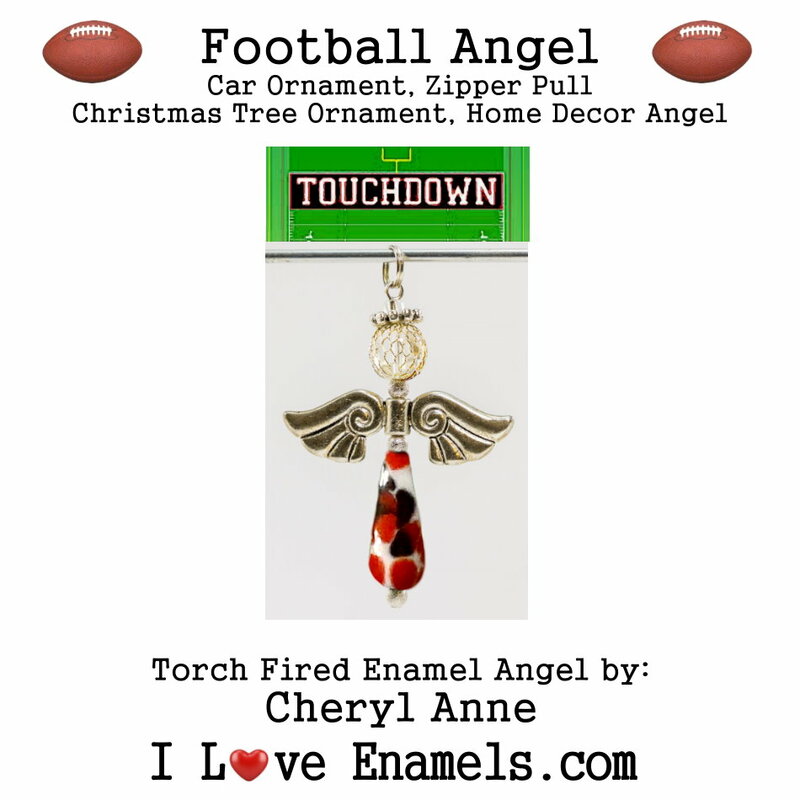 These Torched Fired Enamel Angels are hand made using a torch and enamels. All enamels we use are from Thompson Enamel Company in the United States of America. All of our products come from a smoke free, pet free, perfume free environment. If you have any questions please email us or call us. If you need a special colored Angel for that Angel in your life, let us know. Thank you.